The Drakensberg mountain range has taken its rightful place internationally as a top tourist destination with the proclamation of the uKhahlamba Drakensberg Park as a World Heritage Site, home to the spectacular Cathedral Peak Hotel. Only 400 km from Johannesburg and 250 km from Durban, Cathedral Peak Hotel first opened in 1939 and the Van der Riet family has succeeded in offering warm hospitality combined with exceptional service and value for money ever since. Surrounded by some of the world’s most stunning scenery, the hotel also enjoys the privilege of an abundance of rock art, plants, birds, porcupine, black-eyed jackal, bushbuck, mountain reedbuck, duiker and has reintroduced eland. These natural treasures, together with the hotel’s many sports, recreational and modern conference facilities, lure business tourists to this award-winning hotel time and time again. Cathedral Peak Hotel boasts a unique conference centre designed to cater for small or large groups. The centre allows for highly productive seminars, product launches, team building and strategising sessions. Two full-time conference coordinators personally assist with the organisation of the event and ensure successful and memorable conferencing. The fully equipped conference centre provides a range of rooms able to accommodate 12 to 200 delegates with variable seating and high-tech equipment. The entire centre and breakaway rooms are up-market, air conditioned and tastefully decorated in warm, rich colours that result in an ‘earthly’ feel. The hotel can accommodate up to 250 guests in a variety of rooms, all of which boast magnificent mountain views. Amenities include limited DSTV, tea/coffee making facilities, heaters and en-suite bathrooms. The superb cuisine is served buffet style in the hotel dining room. Individual catering or separate dining in a variety of function rooms is available by prior arrangement. Conferences can opt for a gala dinner, riverside champagne breakfasts, various themed evenings or a braai in the boma, which overlooks the immaculate, lush green golf course. The recreation and entertainment facilities provide excellent opportunities for team building. A host of sporting and leisure activities are on offer, including daily guided walks to the historic bushman paintings, trout fishing, horse riding, mountain bike trails, tennis, squash, heated and cold swimming pools, bowls, volleyball, table tennis, badminton, a fully equipped gym with steam bath, beauty therapist and, of course, the picturesque nine-hole golf course. Floodlit mini-adventure golf provides an alternative evening activity. For team challenges, the 10 m climbing tower is a must. The hotel’s helicopter offers exhilarating sightseeing tours or mountain top picnics and is perfect for staff incentives. When the shadows reach down from the lofty mountain peaks, there’s no better place to be than the hotel’s terrace to admire the view and enjoy a refreshing sun downer cocktail. Albert’s Cocktail is an elegant meeting place, with beautiful views through fold-away windows. The hotel lounge provides a cosy refuge for a board game or a quiet reading corner. Harry’s Action Bar boasts big-screen TVs, especially important for avid sports fans, as well as darts and a pool table. The unsurpassable beauty that surrounds the resort is breathtaking, while the superb facilities are both varied and comprehensive. 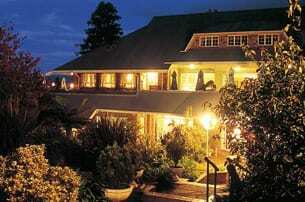 Cathedral Peak Hotel is an ideal conference venue that will leave you with an unforgettable Drakensberg experience.